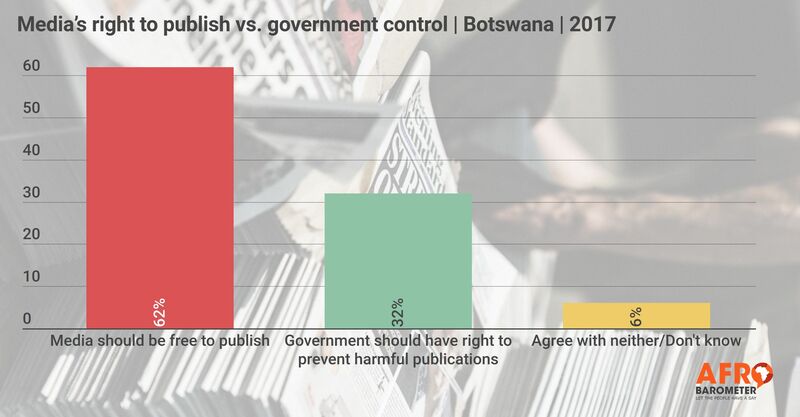 By a 2-to-1 margin, Batswana support the freedom of the media to publish without government interference, according to the latest Afrobarometer survey. Freedom of information is one of the yardsticks that measure the extent to which a country is transparent and willing to subject itself to public scrutiny. The role of the media in this regard is paramount as it not only keeps the population knowledgeable but also helps hold the government accountable.